Tony Moran is an American actor and producer. He is remembered for playing the unmasked Michael Myers in the 1978 horror classic Halloween. Since then he has gone on to make guest appearances in television series The Waltons and CHiPs. In 2008, Moran returned to acting with the short film The Lucky Break. In 2010, he produced and starred in the horror film Beg, which also stars his Halloween co-star P.J. Soles. In 2014 he starred in Dead Bounty. 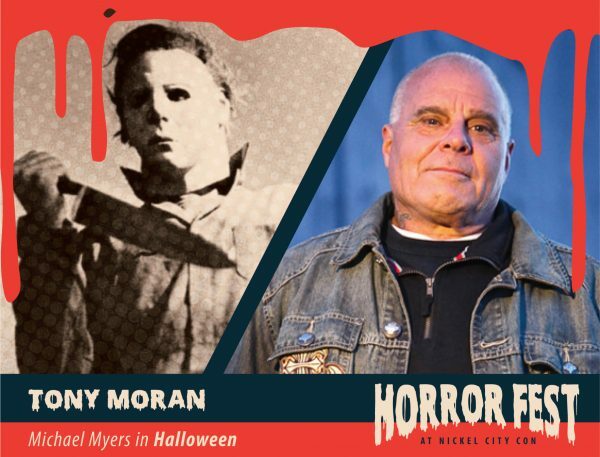 In 2014 he appeared in his biopic, the documentary film Horror Icon: Inside Michael’s Mask with Tony Moran, which will premiered in October 2015.